What a great weekend! And what a better way to start it off than to have Friday off and get a 3 day weekend! 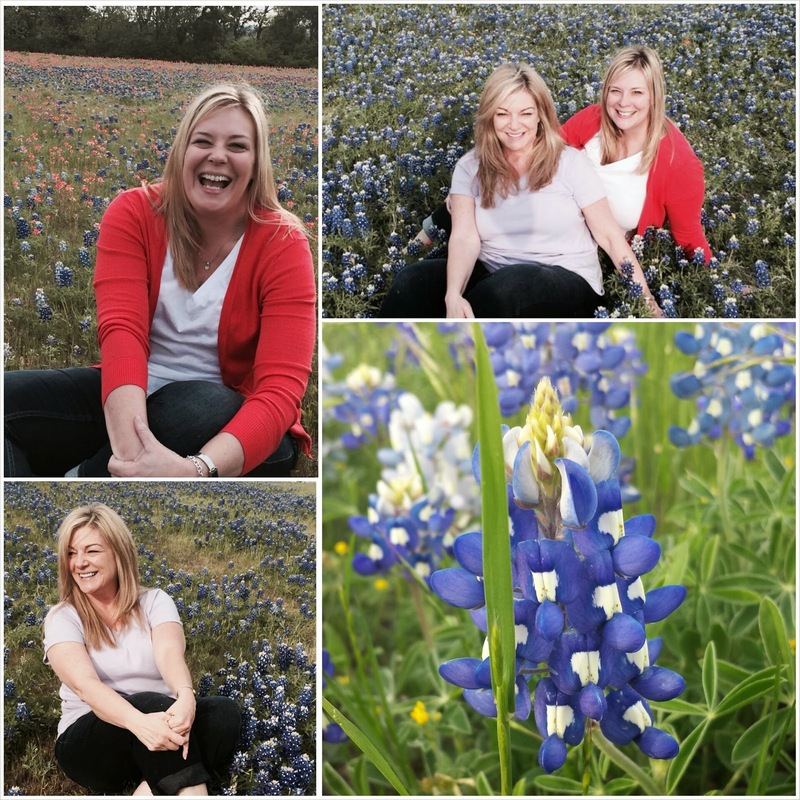 The sister, D, and I go out to do the Texas bluebonnets down in Ennis, Tx. while Lt was a work. 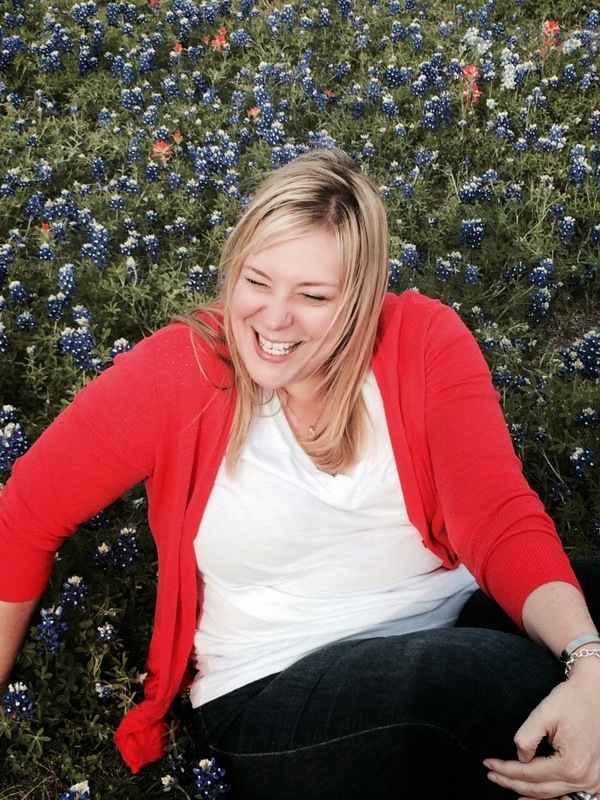 There is a map of the bluebonnet trails for you to drive and can get out and take pictures. 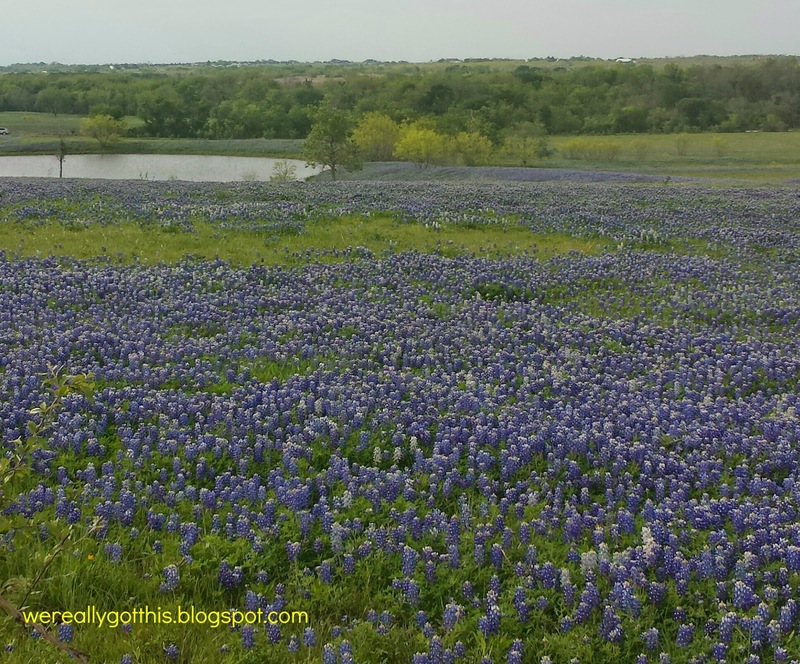 People along the trail planted bluebonnet seeds, and then they multiply, and there are fields and fields of bluebonnets. On a side note, it is illegal to destroy, mow, etc bluebonnets. 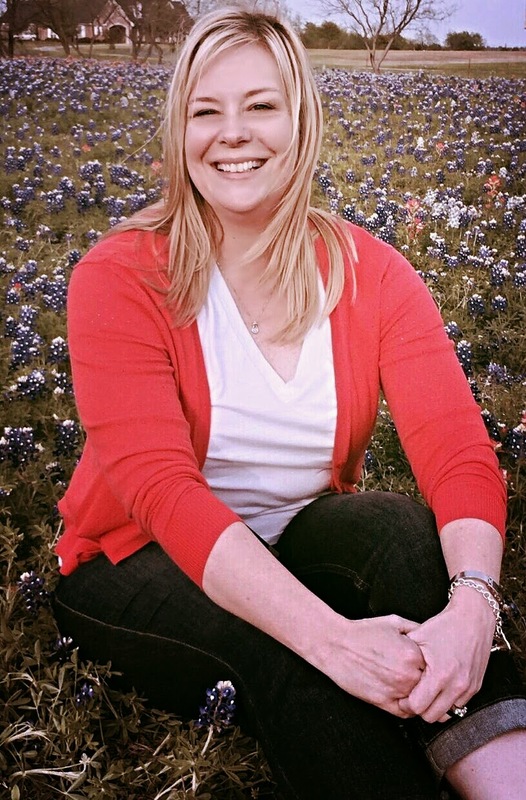 Most had their bluebonnets behind a fence, but some welcomed you to take your pictures. 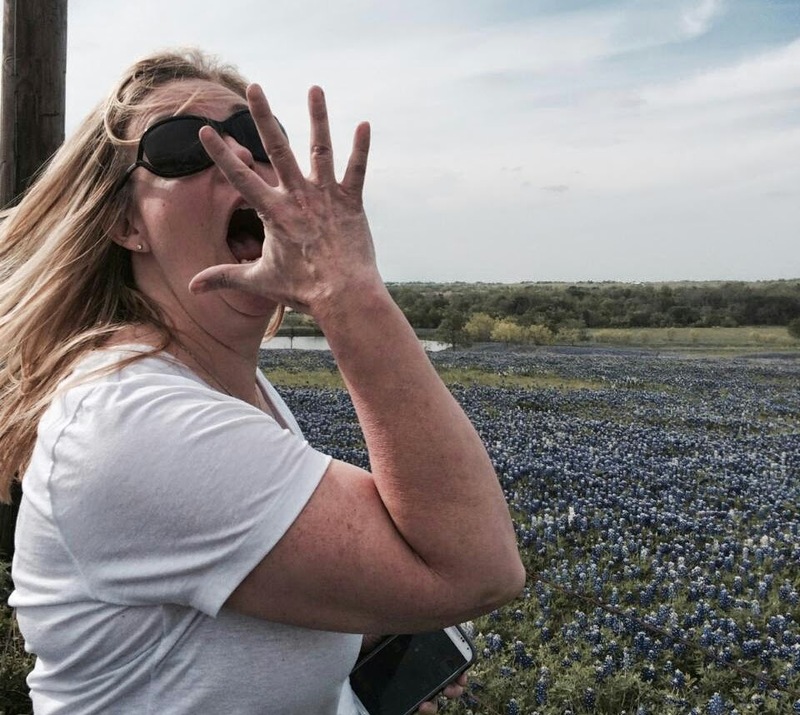 I have been in Texas for almost 20 years and this is the first time I have done the bluebonnet thing. Yeah, I see them on the side of the interstate and highway, but never purposefully gone looking and taking pictures. Here are a few pix. And yes, I am a character and most of my pictures are goofy. Best of the best photos! 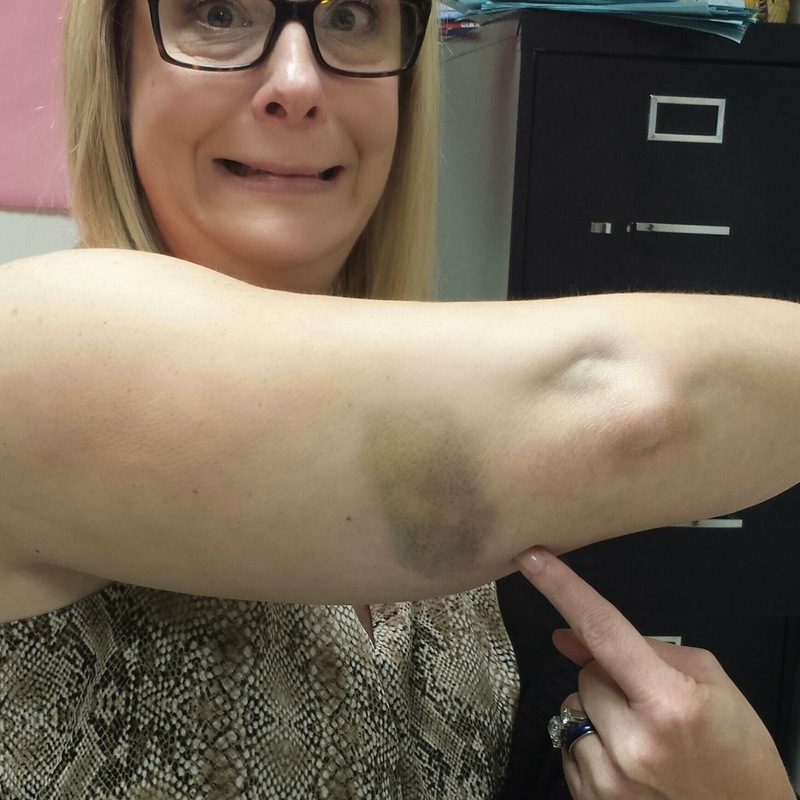 Such fun! Sister kept saying "open your eyes!" while I was looking directly in the sun. Good thing I can still see from burring my retinas! She just makes me laugh! Sister got a little camera happy and I always end up with a weird photo! Gotta not take yourself so serious and just laugh! Easter dinner with the family. Great home cooking with wonderful desserts that made us go home and take a nap! What a lazy day it was but great to be with family. 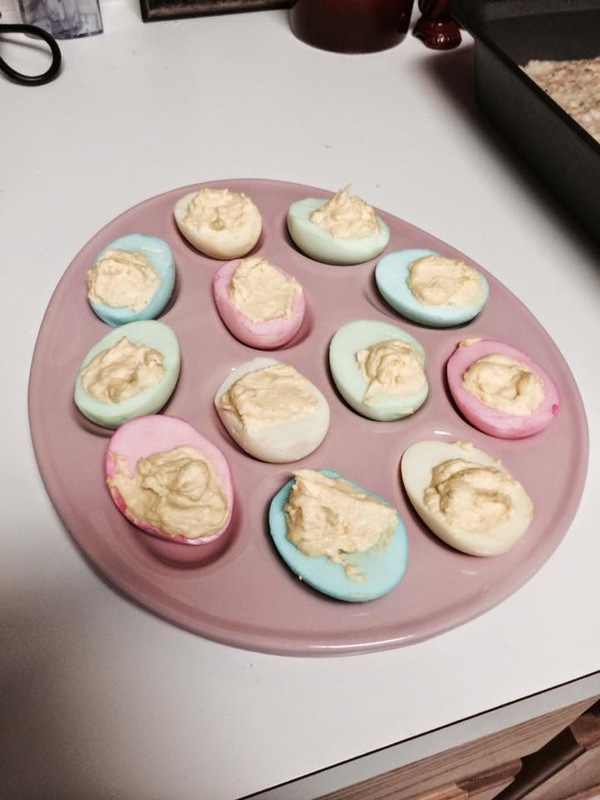 My sister found this Pinterest post about dying your eggs for deviled eggs. They were yummy!! This Easter weekend I learned not to worry about what people think of me. I am me, goofiness and all. I just want to go out and enjoy life and savor the moment. I don't want to miss a moment of life because I am worry what other people think or even because I stayed inside my box and "followed the rules". Sometimes you have to get off the track to get just the right picture. I went off the path into someone's yard to get this shot. Hope you all had a wonderful, fun and loving weekend. 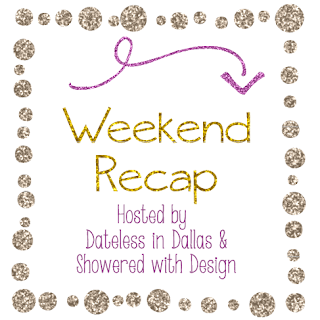 I am linking up with Showered By Design and Dateless in Dallas to share my weekend fun!